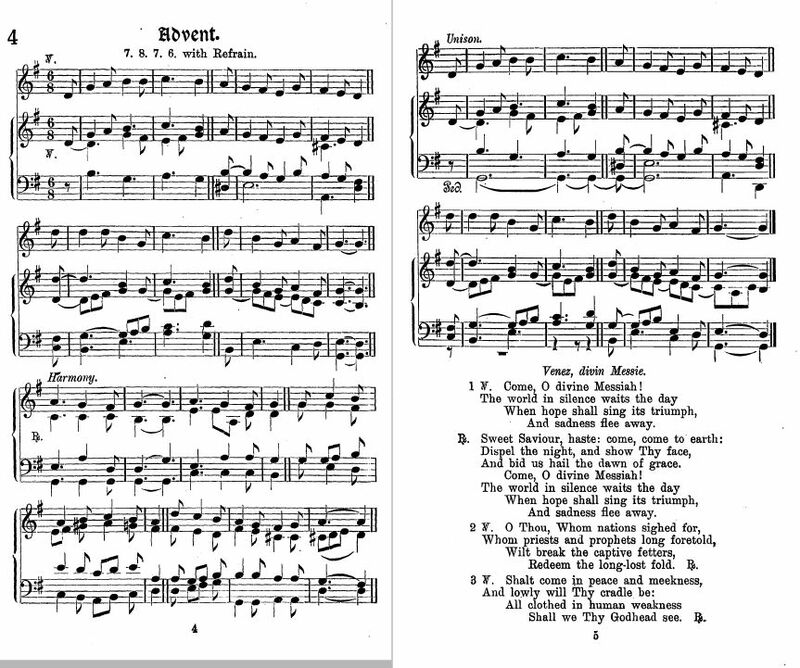 Source: Dom Samuel Gregory Ould and William Sewell, eds., The Book of Hymns with Tunes (London: Cary & Co., 1913), Hymn 4, "Come, O Divine Messiah!," pp. 4-5. 1. Come, O divine Messiah! Redeem the long-lost fold. Refrain. Shall we Thy Godhead see. Refrain. Sheet music for "Come, O Divine Messiah!" from Dom Samuel Gregory Ould and William Sewell, eds., The Book of Hymns with Tunes (London: Cary & Co., 1913), Hymn 4, pp. 4-5. Sheet music for Venez, divin Messie from Ernest Myrand, ed., Noels Anciens De La Nouvelle-France. Second editioin. (Quebec: Dussalt & Proulx, 1899), pp. 137-138. Described as a "Version Moderne (1897) D'Ernest Gagnon." This French carol is found in numerous collections from the early 1800s, consisting of up to 7 stanzas. Another musical setting is "Laissez paître vos bétes" according to E. Barasse, ed., Recueil de noëls angevins (Angers, 1874), p. 59. 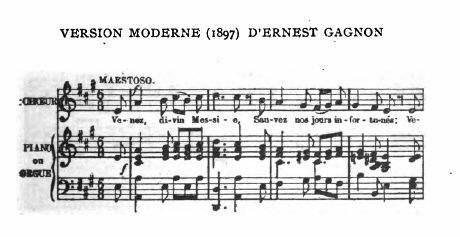 In Jean Nicolas Loriquet and François Seguin, eds., Recueil de cantiques spirituels (1824), p. 142, the tune was identified as No. 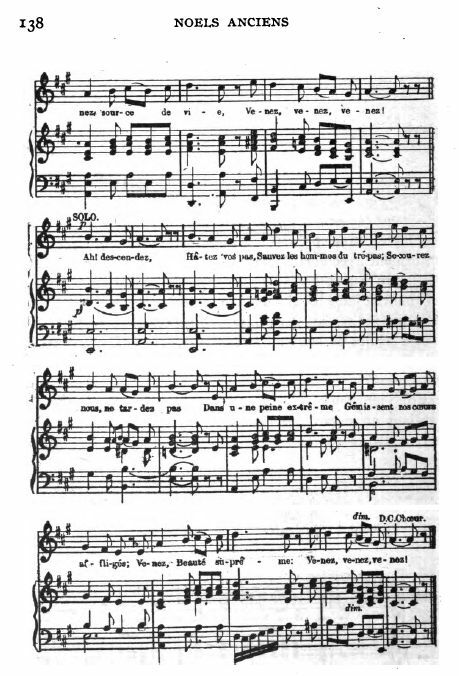 188, but as the text is all in French, and since its been 40+ years since my last French class, I'm unable to determine the name of the volume that contains the tune.